Somalis have many artistic traditions, and Somali artists are developing new forms all over the world. Presenters discuss Somali poetry, art and material culture, and Somali cinema in the past and in the Diaspora. 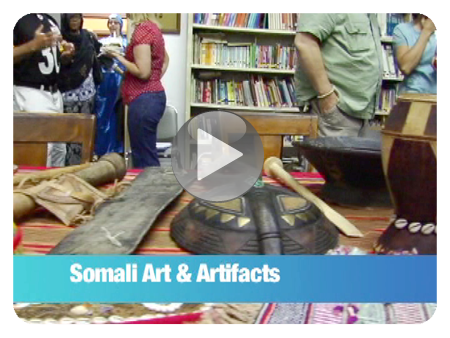 Visual panorama of Dirios’s collection of Somali artifacts. 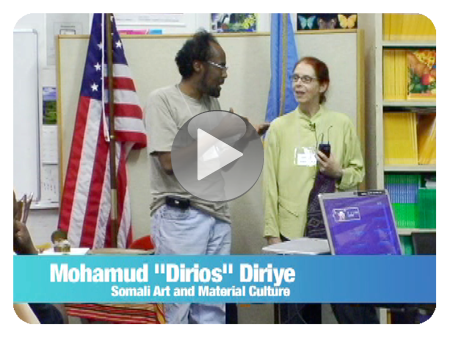 Mohamed ‘Dirios’ Diriye and Dr. Kapteijns explain the historical and sociological significance of a variety of Somali artifacts. 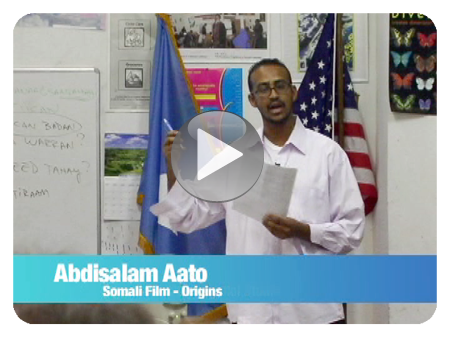 Abdisalam Aato describes some early and ‘second stage’ of Somali cinema in the 1980’s. 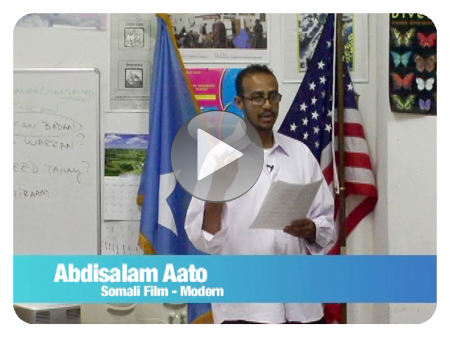 Abdisalam Aato describes how video technology launched the era of independent Somali filmmakers, and the global reach of these films. 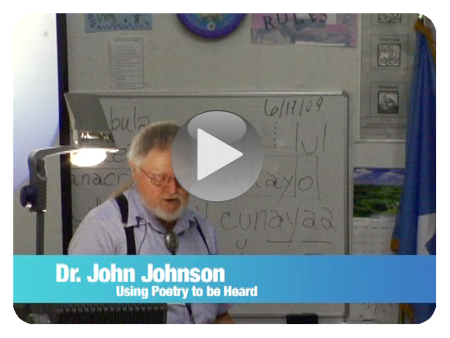 Dr. John Johnson recounts a scenario in which a foreman uses poetry to prod a lazy dockworker to work harder. 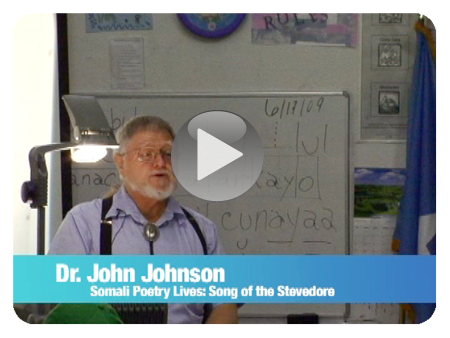 Dr. John Johnson explains how different Somali poetic genres can be used to circumvent social and political status restrictions.